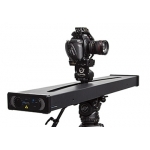 Manfrotto 509 Pro Video Head HD 100MM 29LB CAP. 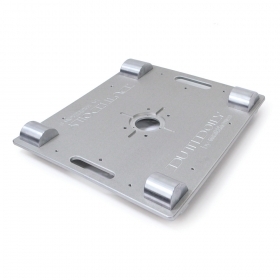 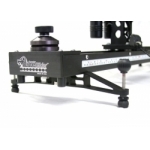 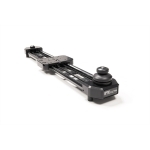 The Matthews Dutti Dolly is a rectangular CNC’d aluminum plate with a built in Mitchell mount, measuring just 20” x 24”, which rolls extremely low to the ground at just under 2” in height. The dolly is simple, as it rides on 8 inline skate wheels, which mount in pairs to the ½” thick aluminum plate. 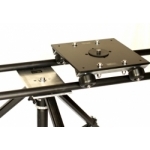 Extreme low angles w/ adaptability for any desired height. 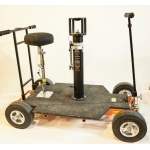 The dolly rides at just under 2” in height, on or off track. 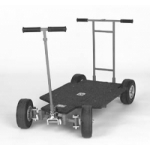 The width, weight, and wheel design of the dolly give the operator the capability of hard whip pans and quick tilts, unlike some of the skate dollies out on the market. 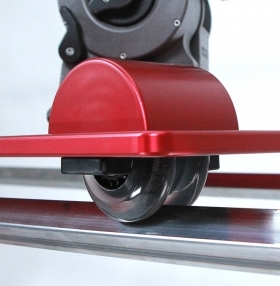 Will roll directly on the ground floor or any smooth surface, or can be used with track, on or off stands, both over and underslung. 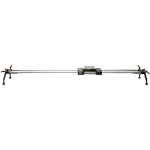 Inexpensive expendable track can be purchased at any industrial metal supply or home improvement store or you can purchase our Matthews right angle Dutti track which comes in 4, 8 and 12 foot lengths. 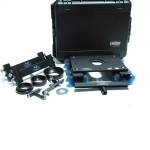 The track stacks and nests nicely for storage. 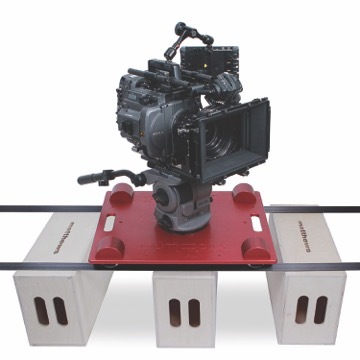 The right angle track can be rested on apple boxes to achieve desired camera height. 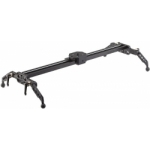 Great for the long take... Dolly step offs using handheld, steady-cam or gimbal systems. 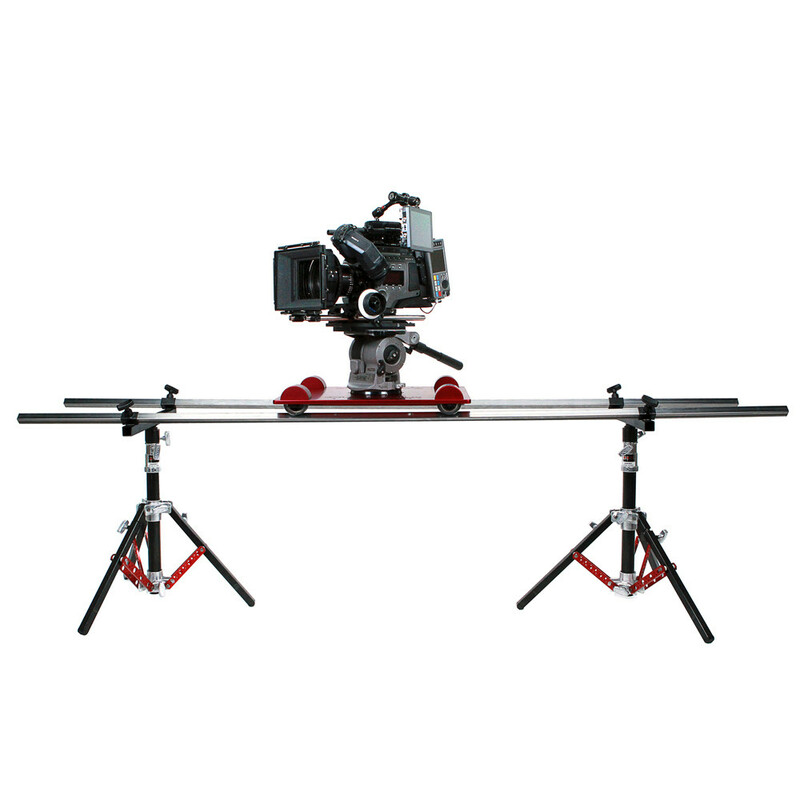 Because of its size, speed and mounting capabilities, the dolly is great for stunts or poor man’s process shots. 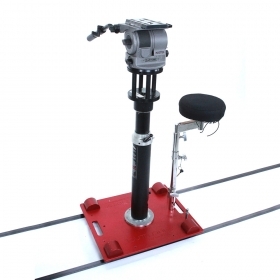 Just ask Jackie Chan! Mount tripods, bazookas, tilt plates and a variety of adapters directly to the dolly.